I was happy to get some feedback today from a young boy whom we had helped. 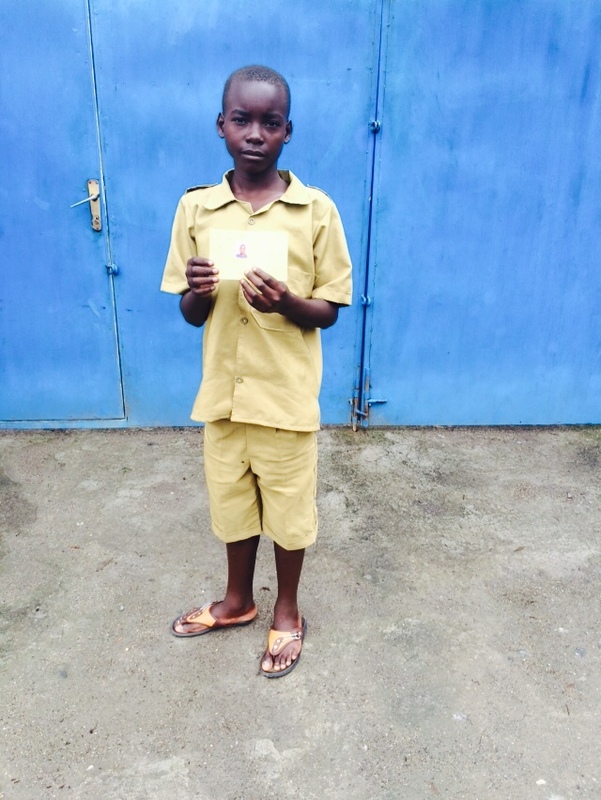 He came back to visit, proudly wearing his new school uniform, and showing me his recently obtained health insurance (community based health insurance, which costs $5/person/year) card. He is about 15, and is in 2nd grade. We assume his poverty kept him from going to school. He and his mother live in the area where Caleb’s hydropower project is, which is a poor area. We have found from past experience that keeping teen age boys in the early grades of primary school is not easy, but we are hoping that he will at least be able to learn to read and write; and eventually to read and know the Bible. Well, since he gave us feedback, I thought I’d give some feedback to all of you, who make it possible for us to help people like this young man. Thank you! Thank you for the feedback and happy for this young man! I pray this young man comes to know Jesus as his Savior. I have a prayer request my son Joshua, a Christian, lost his job. He has a a wife who doesn’t work who cares for a sick mother. Please pray he will get a job soon! Thanks! We will be praying for Joshua! I sent the info about y’all to our Summerville Anglican church associate pastor to whom I told about you in case they might want to get to you know you and perhaps support you. He is an evangelical who occasionaly conducts services here at the “Village”. God bless you all and your missions and family. Your brother in Christ, Birch.